I feel like the black sheep in the Tablet herd, questing to find meaning within this gadget’s baffling existence, but always strolling away with a sprinkling of pros and a bushel of cons. Let me spew more diesel onto the incendiary spectacle by adding this to the table: I think tablets are one of the most pointless and overrated devices ever to be devoured by the consumer market. They are expensive, shiny, adult toys that serve as status symbols in most cases. Underneath the allure of a larger screen, tablets are merely big smartphones that can’t make calls. I was talking to someone last week who was asking me if they should purchase a tablet “just to have one,” which is testament to my ultimate theory that humans will consume like termites until there is nothing left, even if it’s moldy balsa wood. Phones will no longer be the prime bread and butter for carriers and manufacturers as long as tablets will remain popular. But look what happened to Pogs. I still have a city skyline of pog stacks and slammers that are languishing away in a dank storage unit somewhere along the eastern seaboard. Tablets are the Pogs of the Electronic world. Gauging by the cataclysmic nature of the smartphone market, consumers are already being ushered into expensive data contracts for two long years at a time. The average tech savvy consumer already pays between $100-300 for a smartphone with a $90-130 calling/texting/data plan. Most of those consumers also own a laptop or PC for tackling tasks that require more processing power under the hood. Personally, I rely on a 13-inch MacBook Pro that has not flinched once for two years and was purchased for around $1400 with a few extras like Microsoft Office and boosted RAM. I use an iPhone for emails and light internetting, but the MacBook Pro usually travels everywhere with me. And to those who squawk about how heavy and cumbersome a laptop is compared to a tablet, may I ask if you are carrying around an 8-foot piece of plywood daily? No? Alllllrighty then. If it can fit in your backpack, then zip the lip—there is no argument for size and weight when you compare a compact laptop to a tablet. At that point, you’re splitting hairs like Paris Hilton crying over a latte with 3mm of too much foam. Now what about power? I’ve reviewed several tablets, including the Samsung Galaxy Tab 10.1, HTC EVO View 4G, iPad 2, and Motorola XOOM, all of which lagged at some point or another, and proved to be slower and far less equipped than a dedicated laptop. Comparing Firefox or Chrome to an Android browser is like foisting a Camaro on a Geo Metro. I will say that the iPad gave me far less guff, but it still stumbled and sputtered when stacked against a MacBook Pro. And how about the ghastly, vomit-inducing virtual keyboard on a tablet? Forget hasty text input on a tablet. There’s nothing more vexing than a supersized smartphone keyboard when compared to a luscious laptop keyboard with keys that actually respond the instant you press their physical bodies. Oh sure, there are the tablet accessories, which send me into a fit of Mad Hatter laughter every time I see the ads. The Bluetooth keyboard, the Bluetooth mouse, and, drumroll please, the stand to prop the tablet up like a laptop! Hah! Talk about a portability nightmare now, not to mention how you have to set up all of those lame accessories every time you go to Starbucks. And the more pieces involved, the more prone you are to forgetting one or getting one stolen. I forgot to mention the added cost of each accessory. A laptop folds out and plugs right into the wall. Shazam. Takeryia: Hello. Thank you for visiting our chat service. May I help you with your order today? 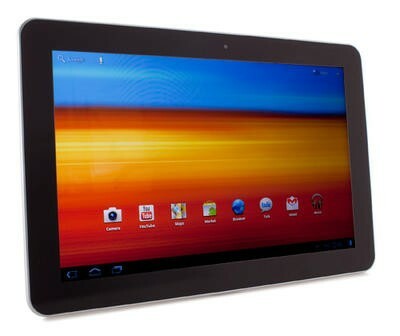 You: Hi, price me out for a Galaxy Tab 10.1 on a 2-year contract, including the price of the tablet. What will I pay within the span of 2 years for the whole shebang? You: Let’s do your highest data plan. Takeryia: I will be happy to help you!! Takeryia: Are you referring to data every month? You: Yeah, I want to connect to the internet wherever I go. Takeryia: We offer the broadband data package for 2gb for $10, 5gb for $50, and 10gb for $80. Takeryia: I do apologize but we dont offer unlimited. Takeryia: Hi, just checking in, how is everything going? You: So, $2550 for a tablet over the course of 2 years with a plan that will give me 10 GB of data a month. 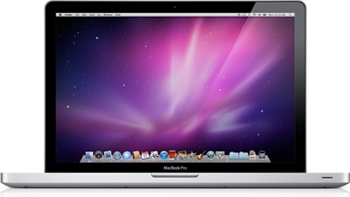 Did you know that MacBook Pros start at $1200 for the 13-inch and $1800 for the 15-inch? 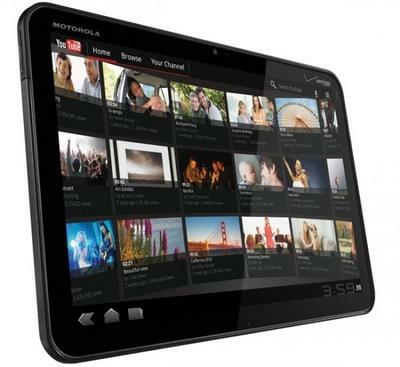 What is the benefit of a tablet? Takeryia: Hold for just a moment please. Takeryia: The Galaxy tab is an awesome device with great features, very easy to use, great batter life, and very dependable. You: But nowhere close to the power and versatility of a 13-inch MacBook Pro. Takeryia: super speed, voice search, light weight. Takeryia: You can always try the device 14 days and if you dont like it you can return the device. You: If I already have a 4G Verizon phone that can do everything a Tab can do, what is the benefit, aside from the bigger screen? Takeryia: A tablet is more like a laptop. You: I beg to differ. A laptop has a dedicated keyboard, much faster processing speeds, larger hard drive, higher quality programs like Photoshop, Quicktime, and Final Cut, CD/DVD drive, regular sized USB ports, Firewire, and LAN for Internet. To name a few. You: A tablet is a big phone that can’t make calls. Takeryia: Would you like yo try the Galaxy out for 14 days and if you dont like it you can return it? You: No thank you. You’ve been very helpful, Takeryia. I’m most likely going to pull the plug on a brand new 13-inch MacBook Pro. You have helped me greatly to come to this decision! Takeryia: Thank you for visiting Verizon Wireless, I look forward to speaking with you again. Have a great day! Now I know what you’re thinking. Just get a Wi-Fi tablet! Is it really worth dropping $600 on an Internet commodity when you have a perfectly equipped phone? Even if you don’t have a capable laptop, take that $600 and put it towards a nice laptop. $600-800 is a pretty penny waste away on a big phone that can’t make calls. Not to mention the fact that a tablet is severely underpowered and under-equipped when compared to a laptop. I will say this, though. Tablet technology can be ideal for various fixtures of industry, such as replacing airline manuals or serving as communication platforms within small businesses. I can also see the usefulness for someone who is constantly on the Internet all day and cannot rely on a 4.3-inch display to get the job done. Our very own Editor-in-Chief, Sean Aune is an iPad 2 guy, and I can completely understand why. Sean never sleeps, busting his keister all the live long day to make TechnoBuffalo breath the awesome fire that it breathes on a daily basis. However, if you’re one of the millions who have bought. or are considering buying, a tablet just so you can go check your Facebook at Startbucks, you have officially guzzled the purple Kool-Aid, and in my opinion, made a deplorable mistake. In closing, just remember one thing: Pogs were cool once. For a little while.